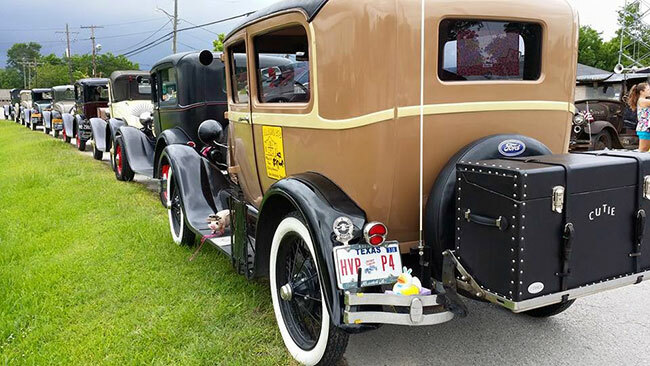 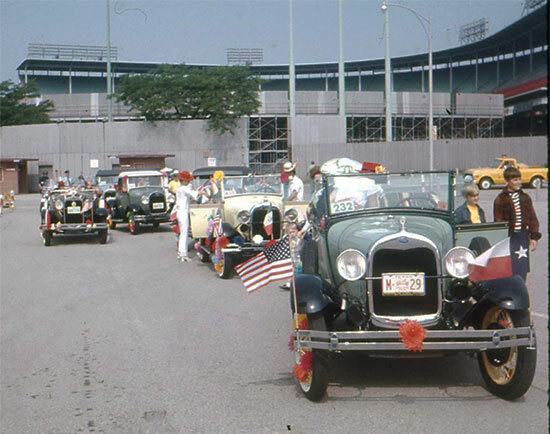 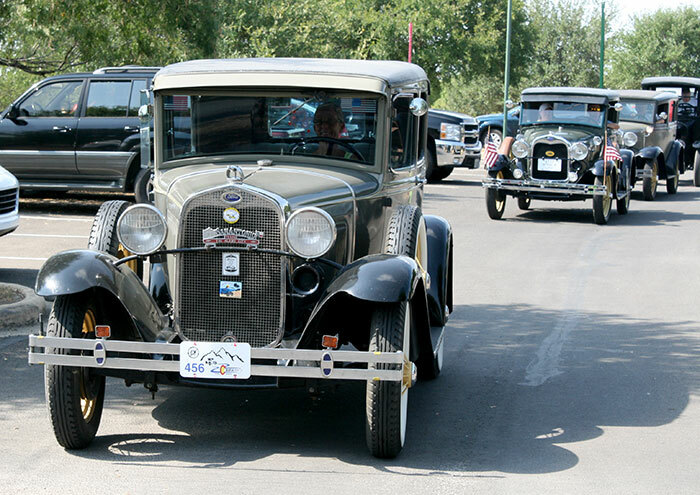 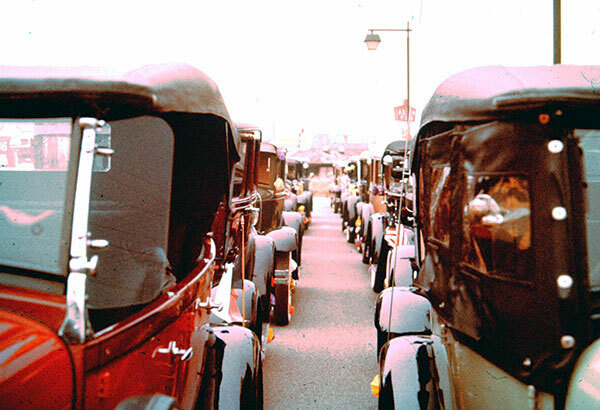 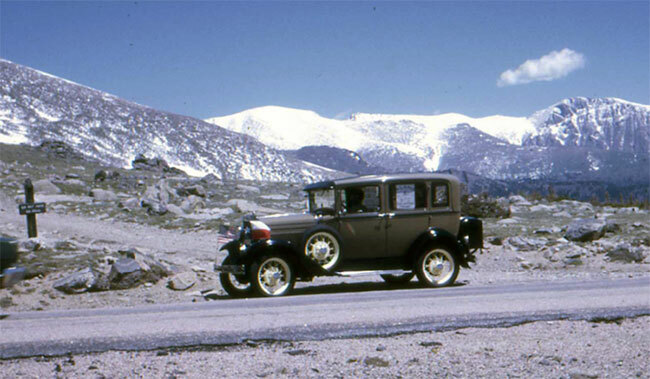 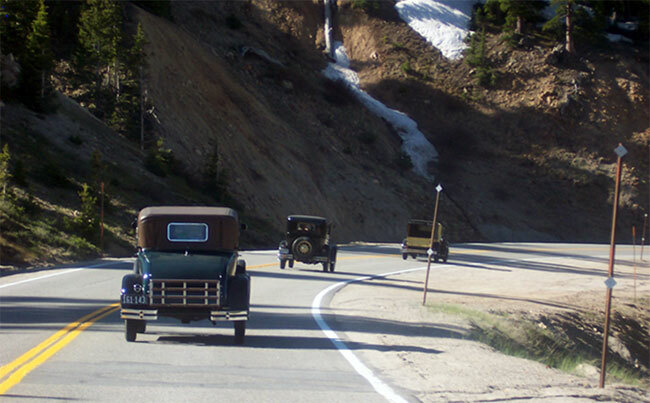 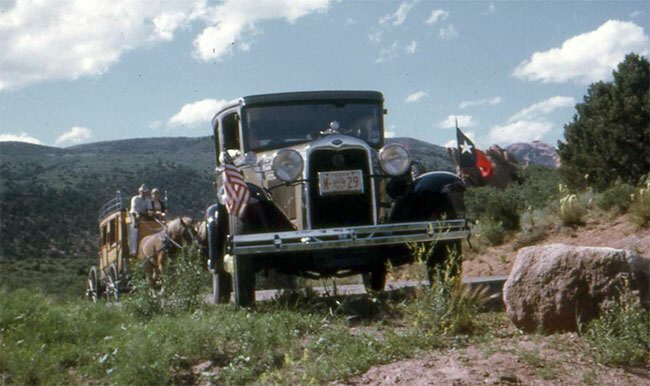 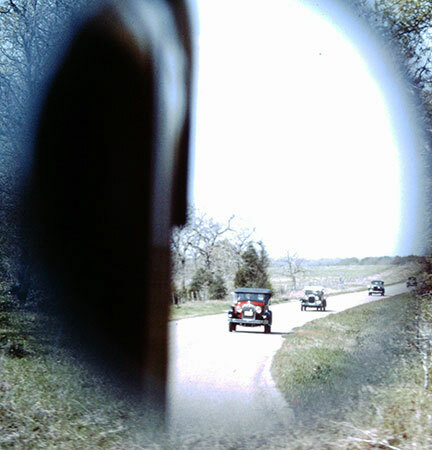 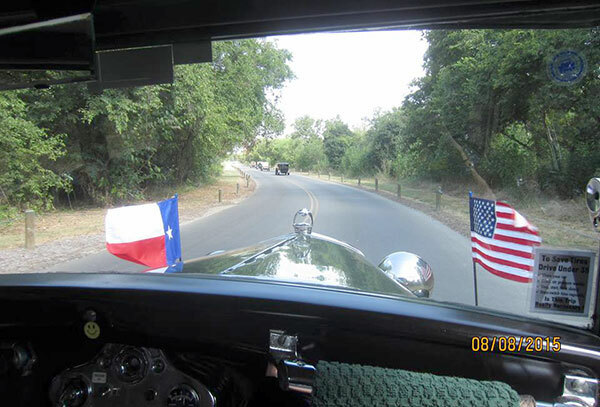 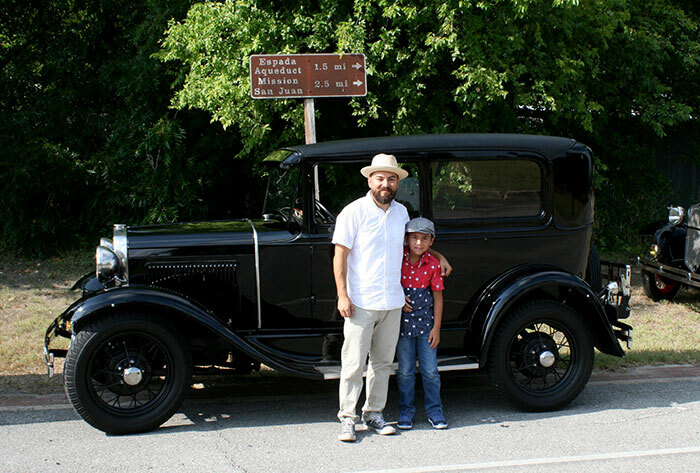 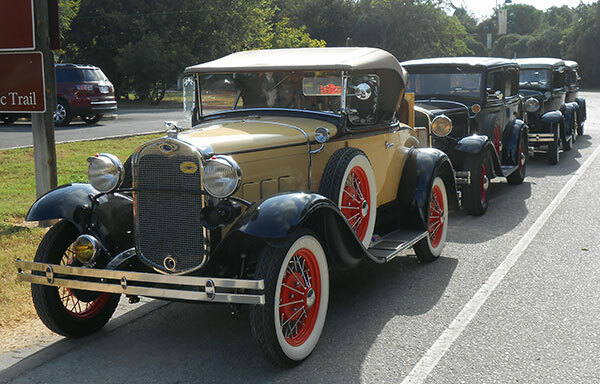 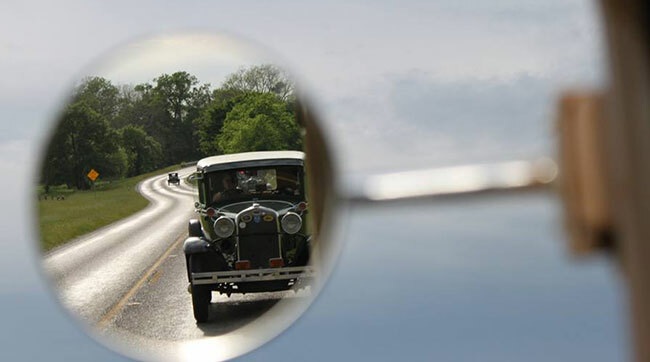 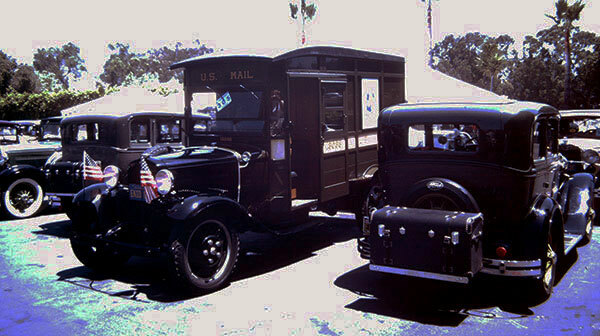 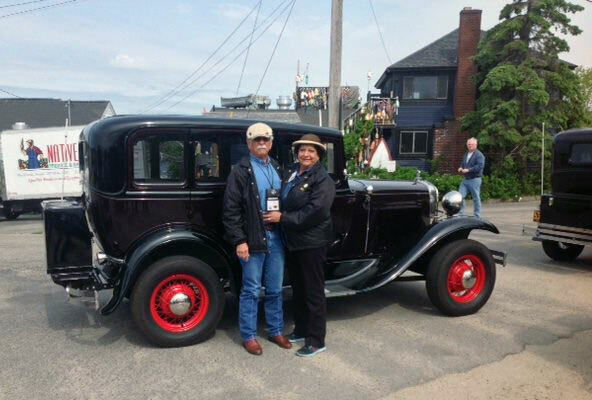 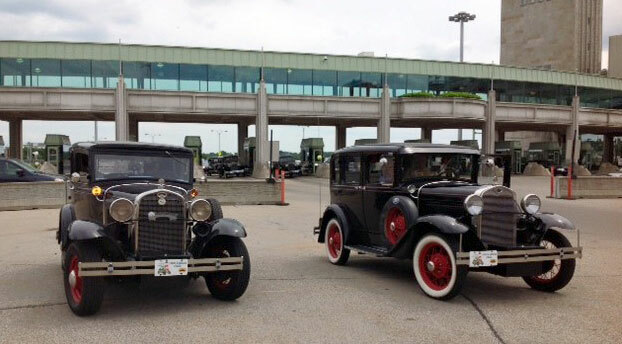 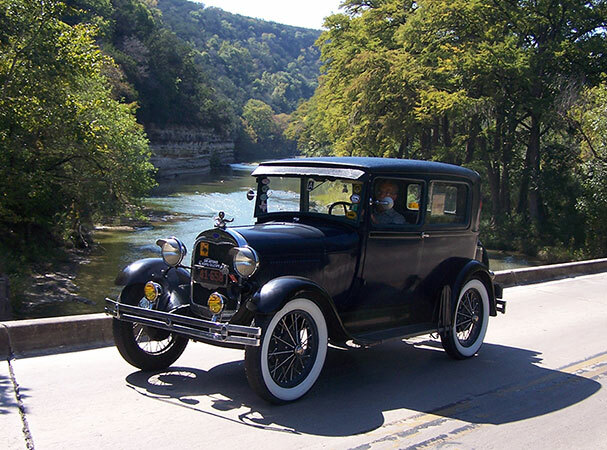 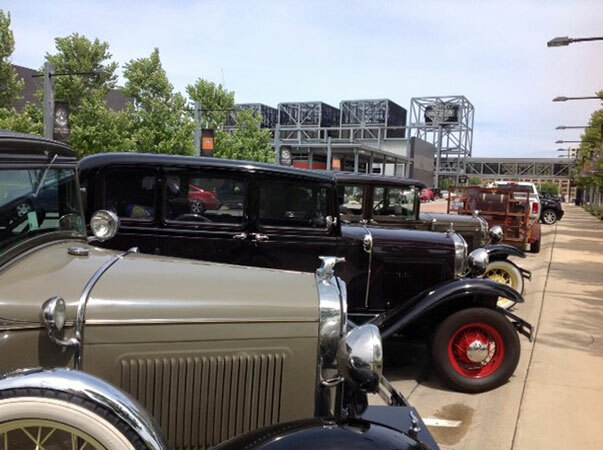 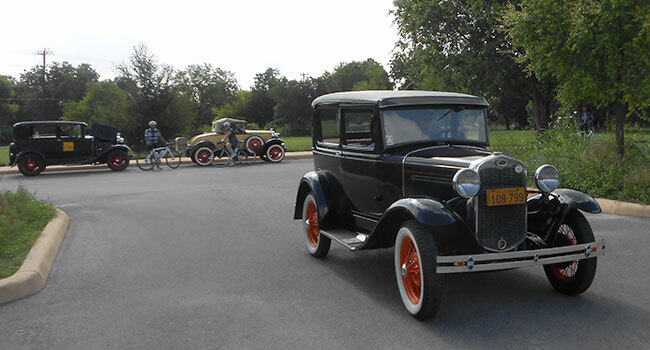 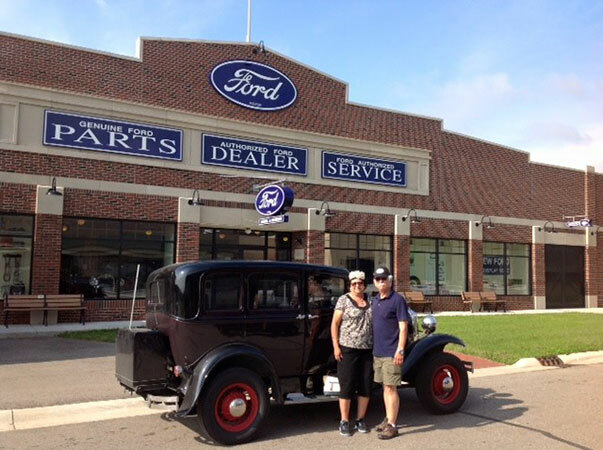 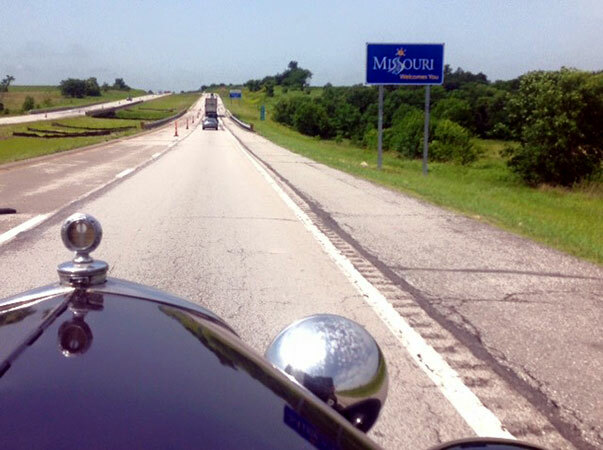 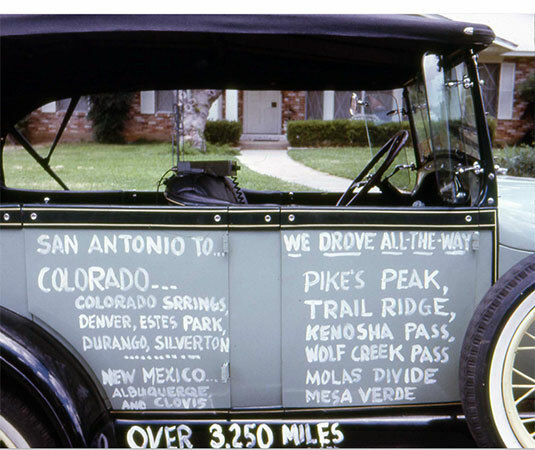 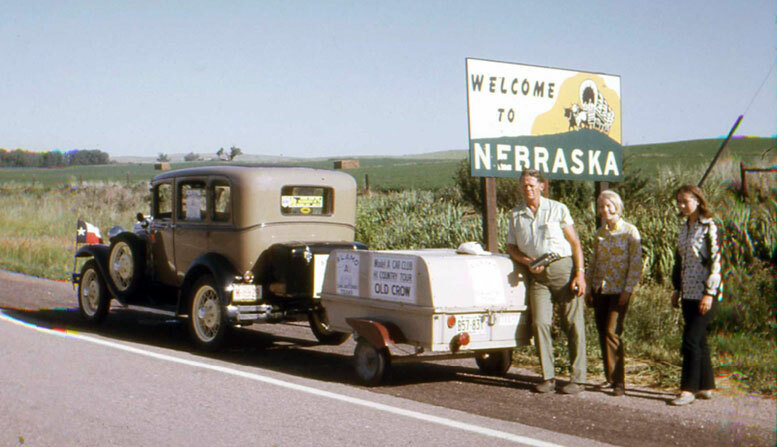 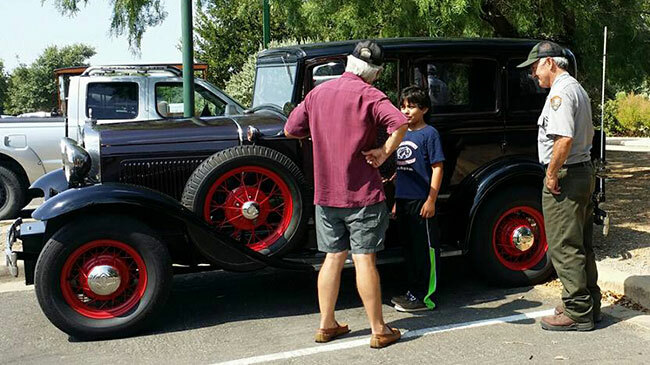 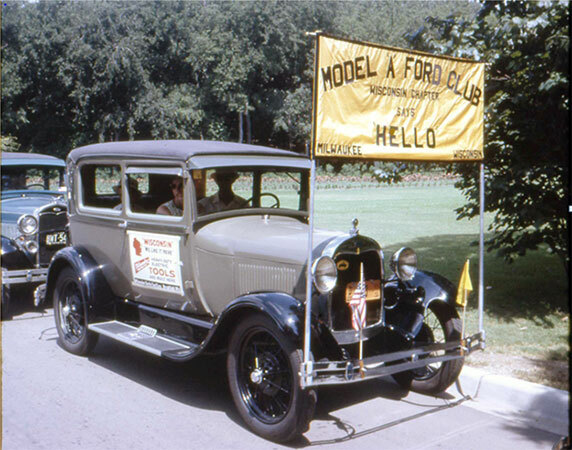 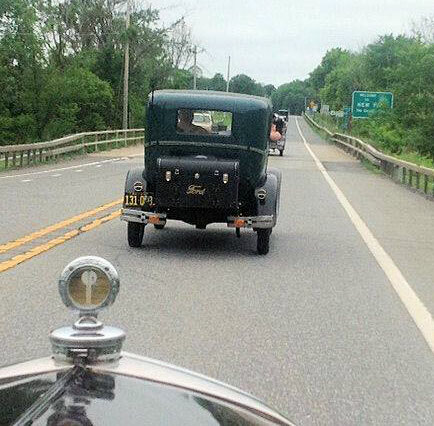 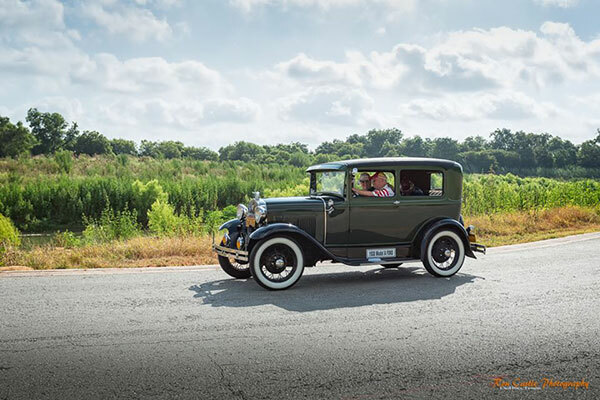 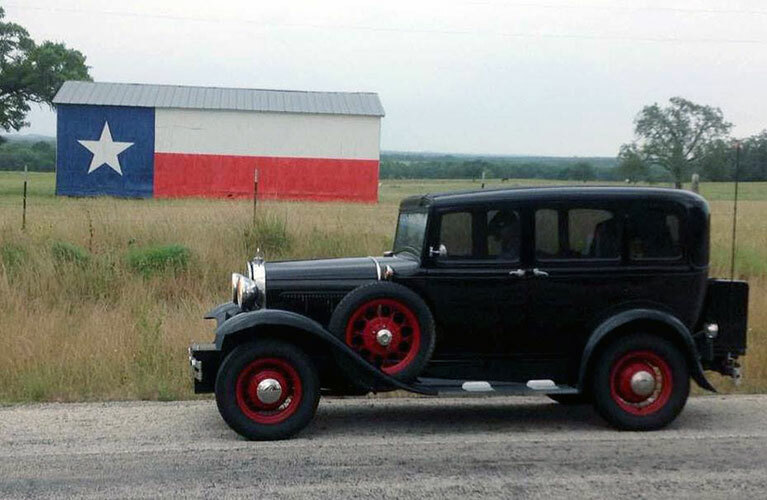 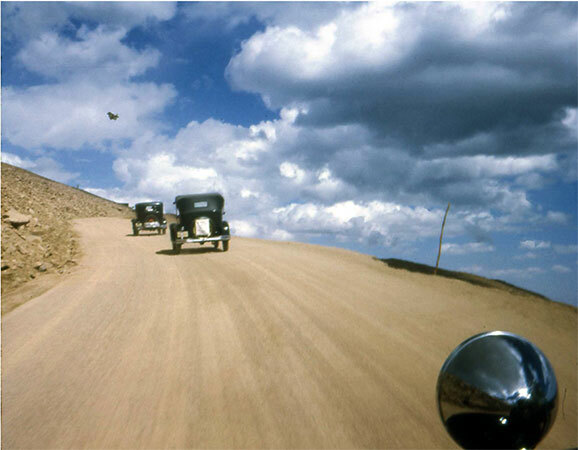 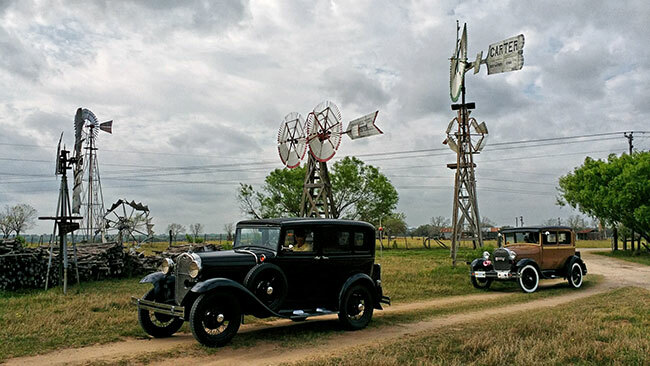 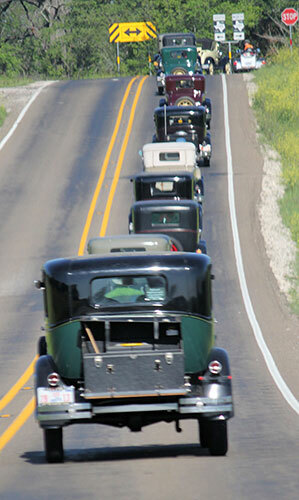 The Model A Ford is at its best in tours and cruises. 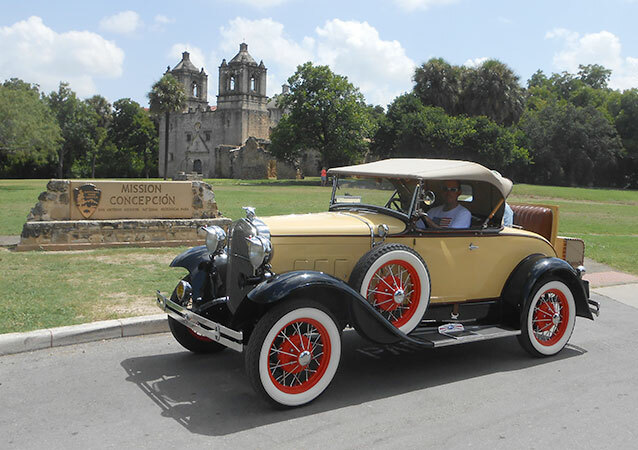 The main difference between a tour and a cruise is duration. 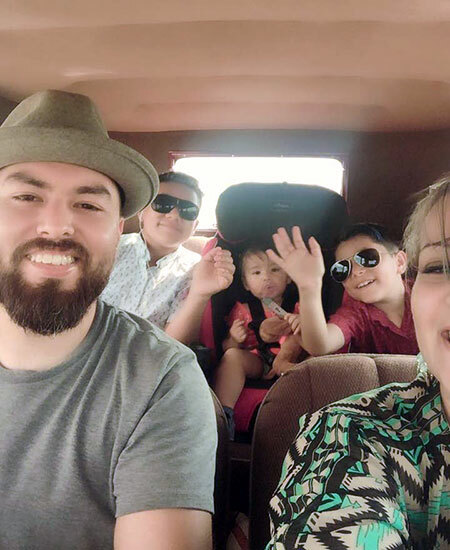 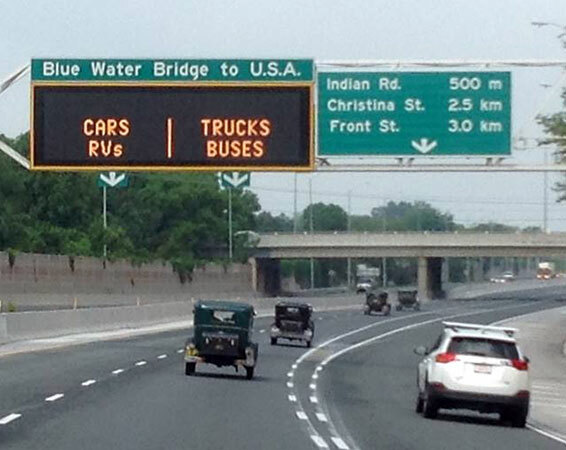 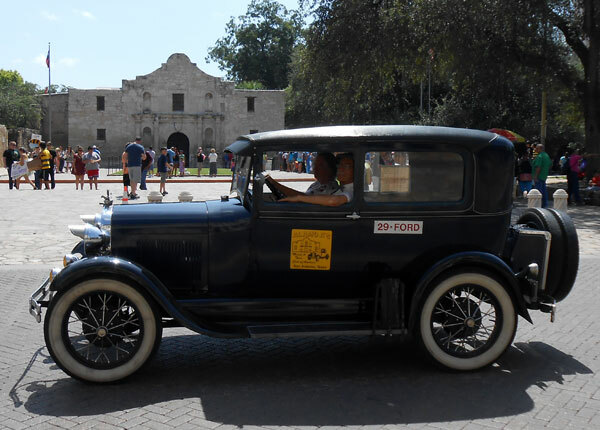 A tour usually lasts several days and often involves driving to a hotel at a central location and visiting a good number of places near that location. 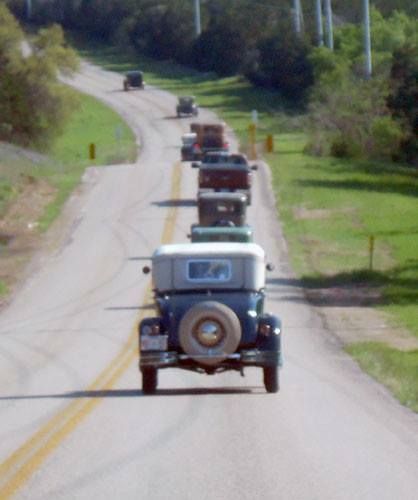 A cruise tends to be a one day outing where most people start off from and return to their own homes. 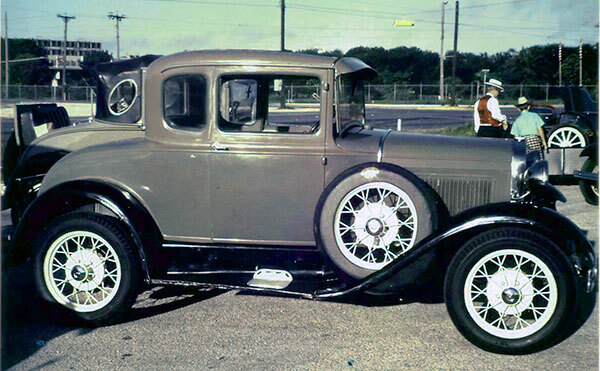 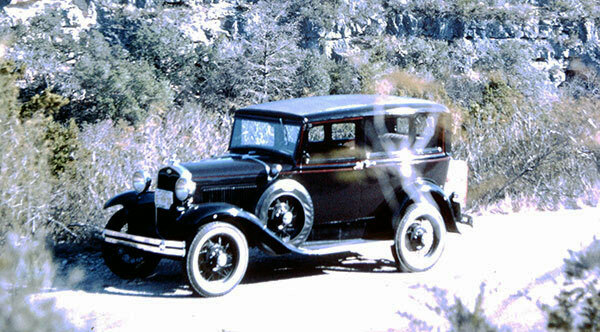 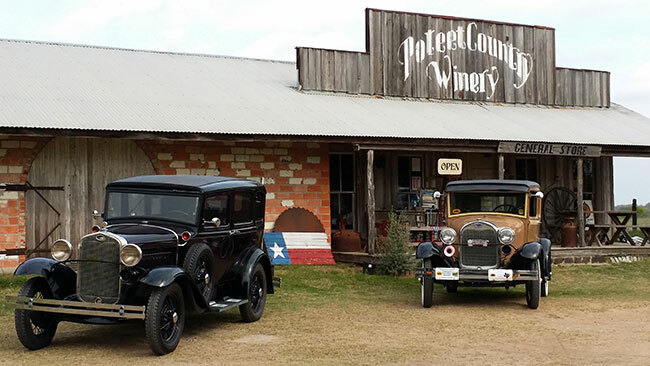 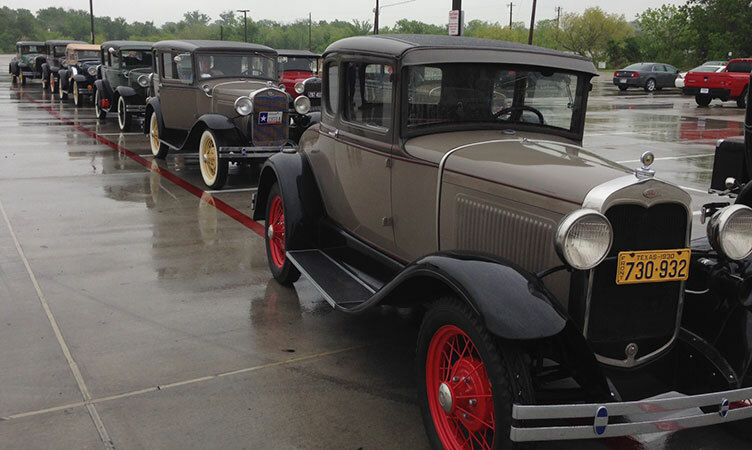 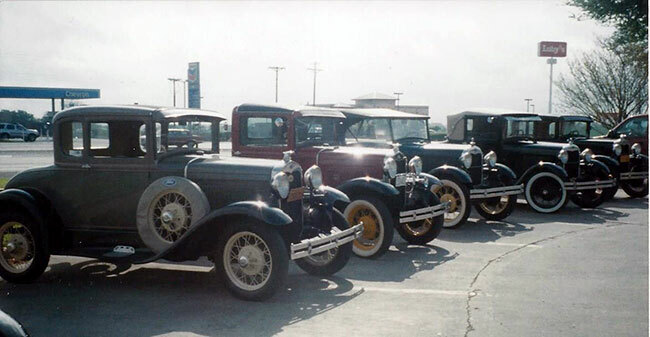 The Model A Ford’s legendary reliability and ease of operation makes them ideal for both activities. 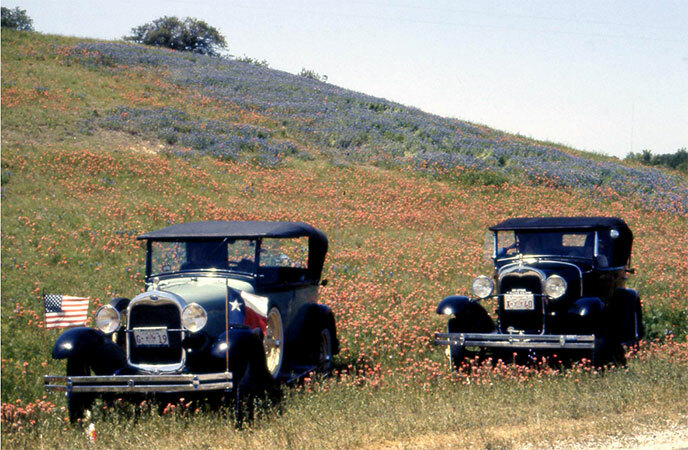 They are comfortable and economical, both to drive and maintain. 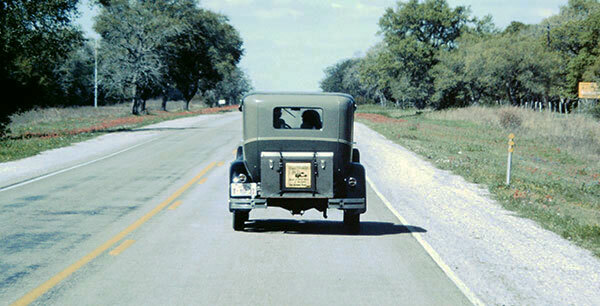 When repairs do become necessary, the most basic of tool kits will solve almost all any problem encountered. 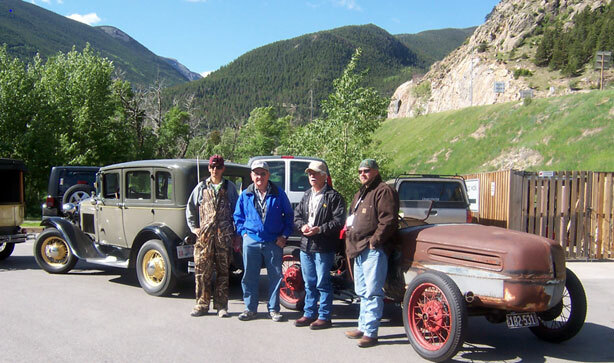 Club members rally round to offer help, advice and parts, and the incident just becomes a part of the overall event. 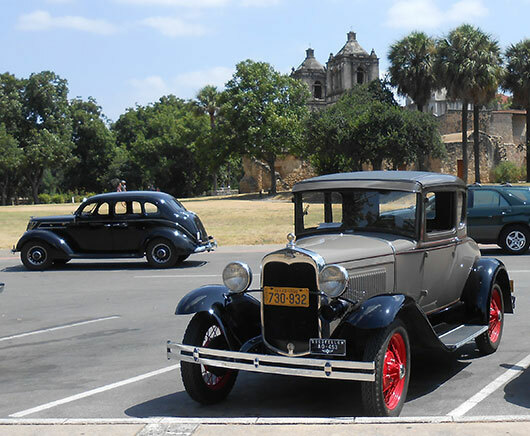 The Alamo As often go for a drive after the monthly meeting on Sunday afternoons. 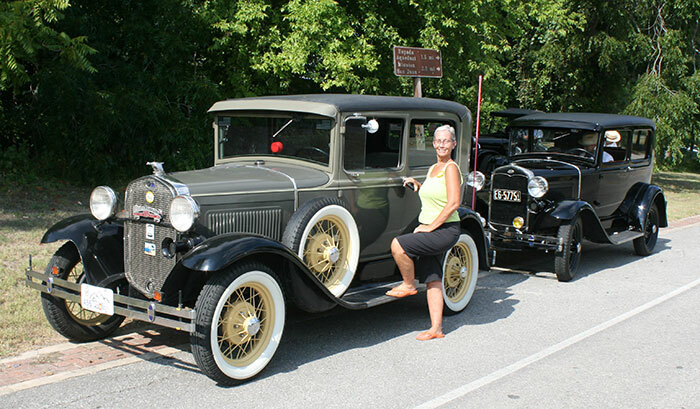 We also arrange short one day cruises to neighboring towns and beauty spots, plus participate in many locally organized drives as well. 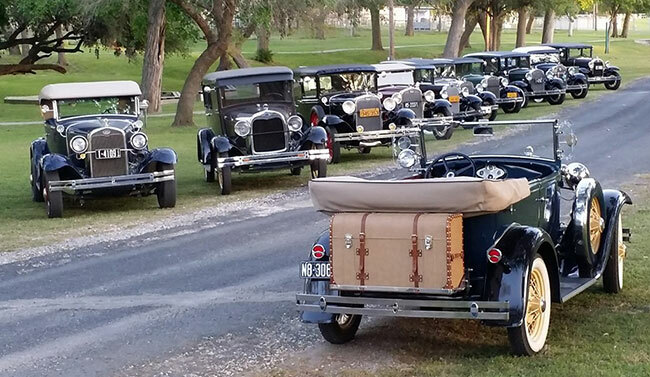 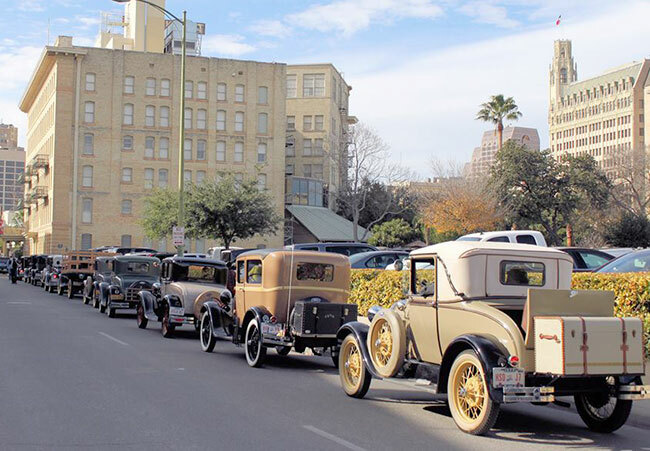 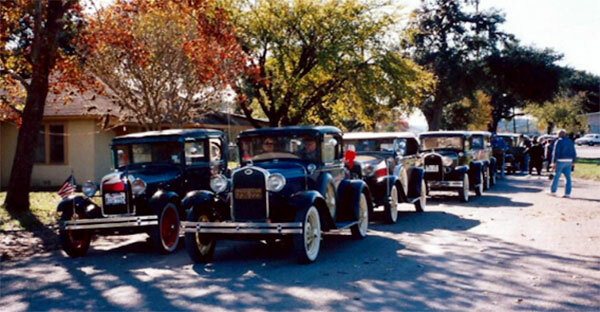 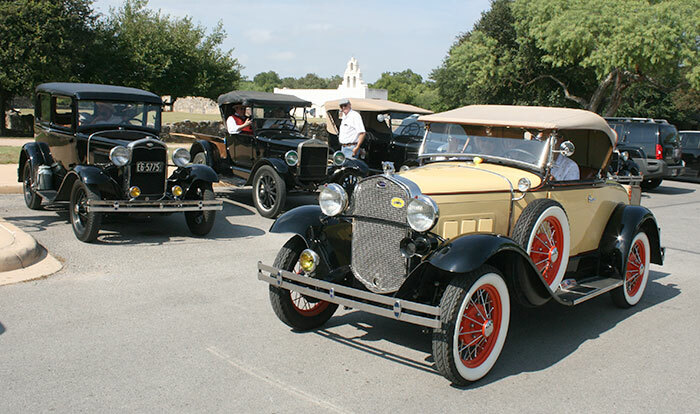 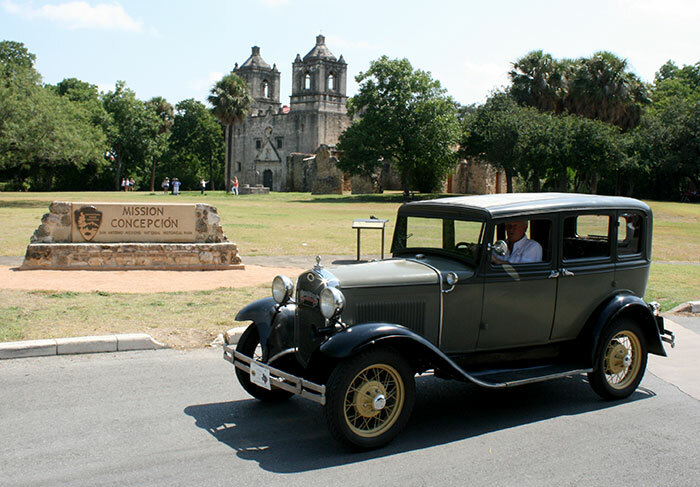 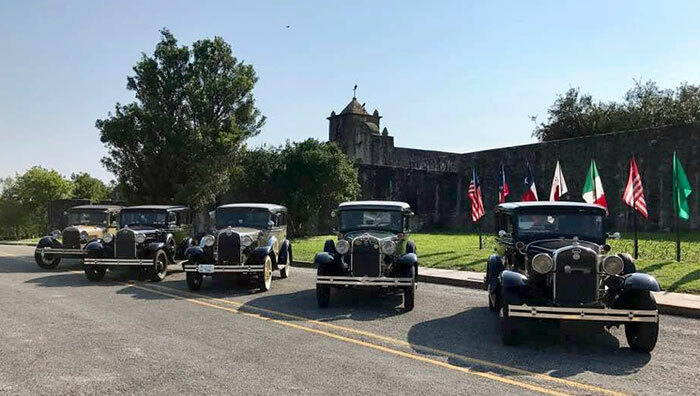 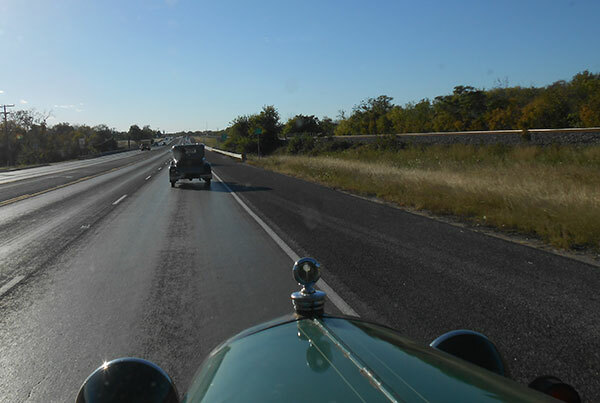 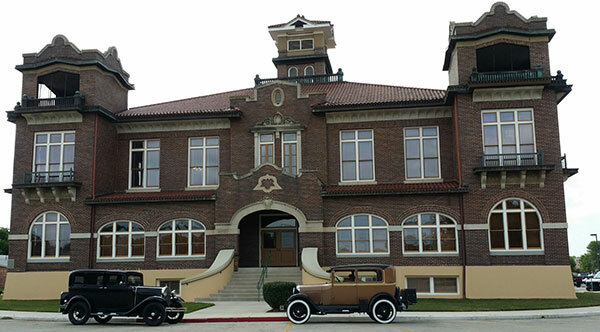 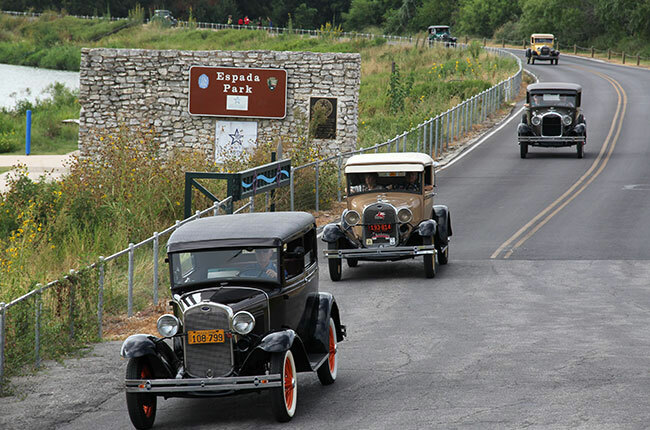 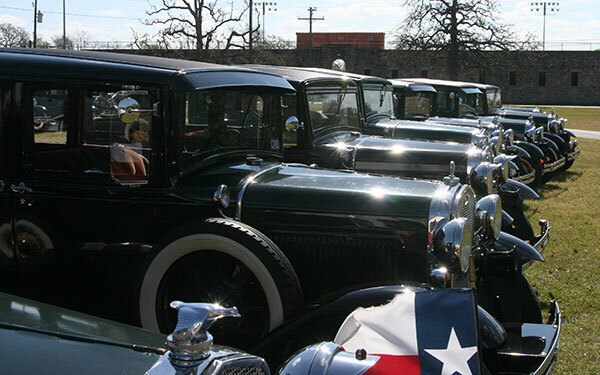 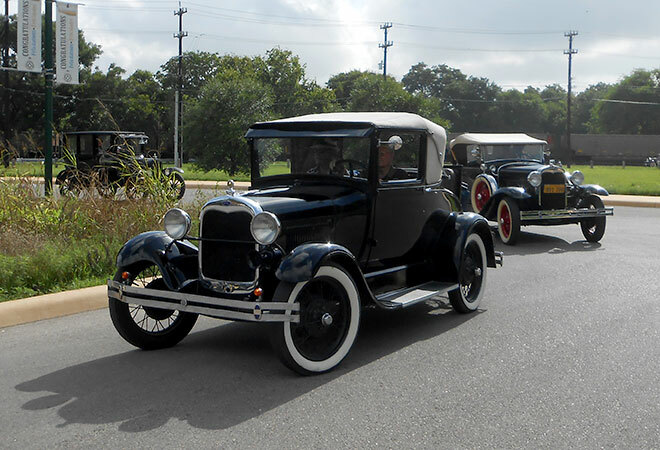 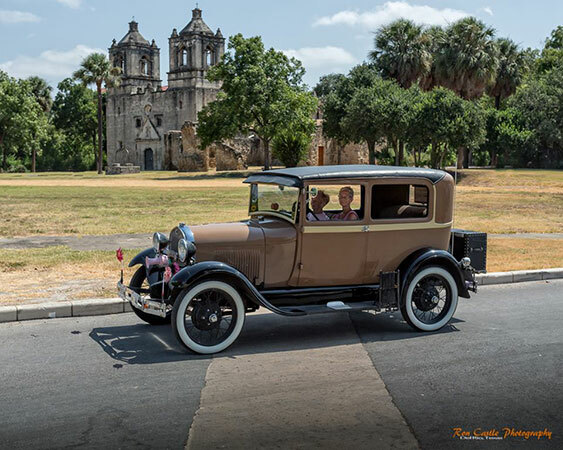 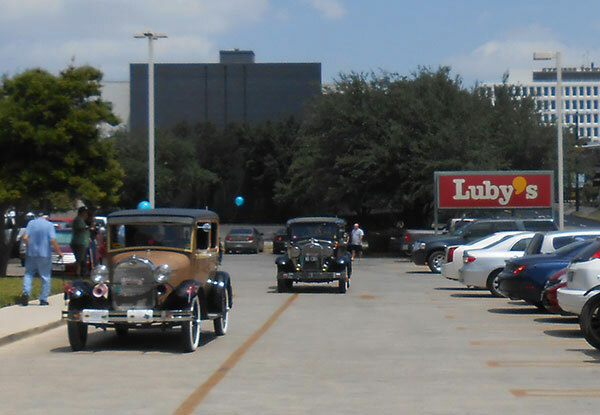 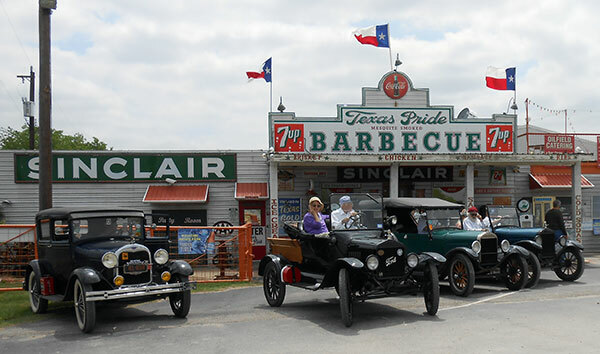 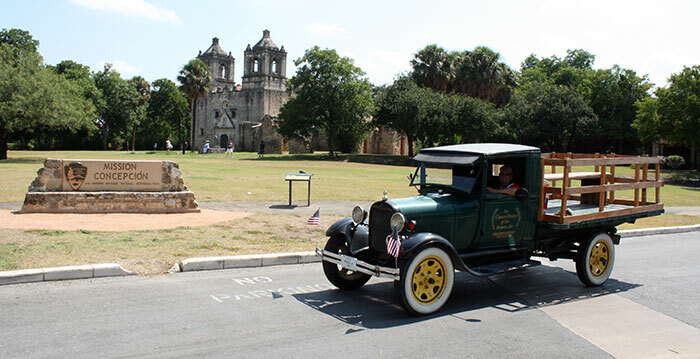 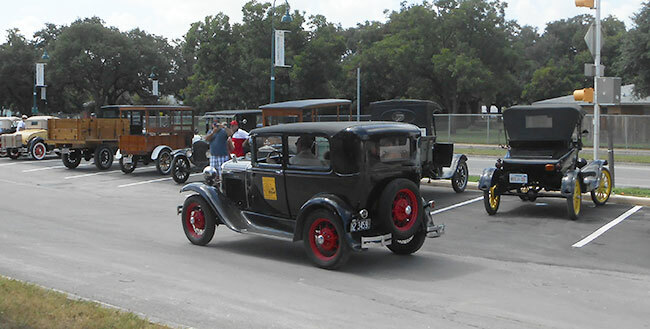 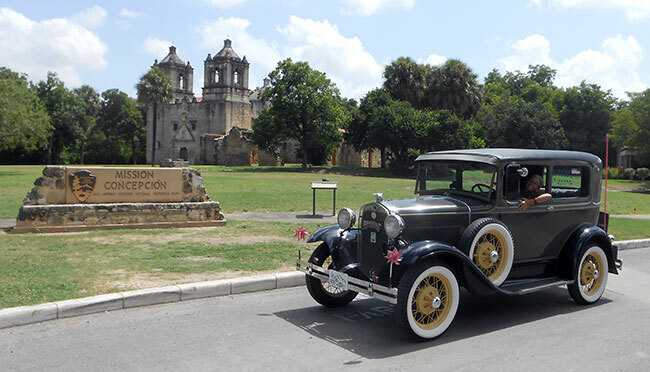 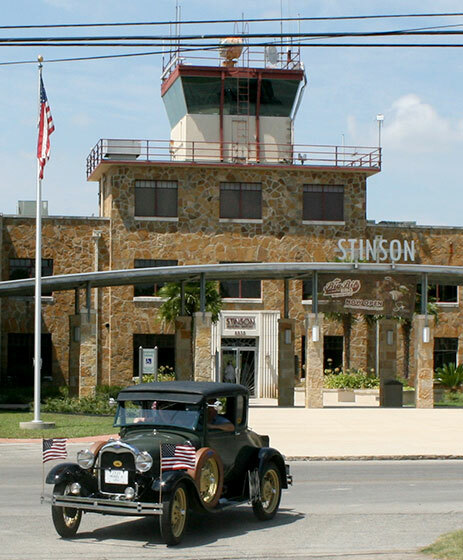 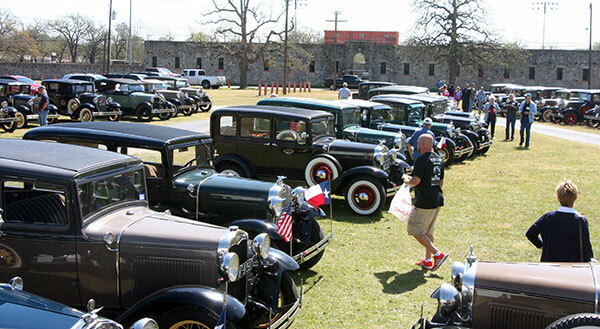 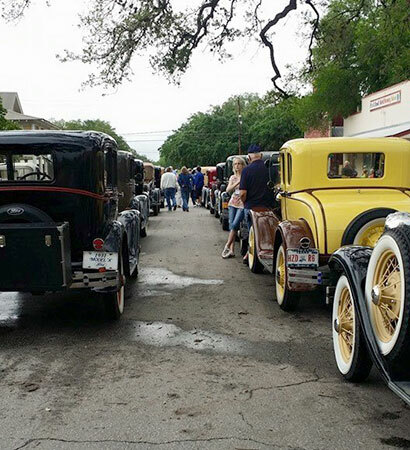 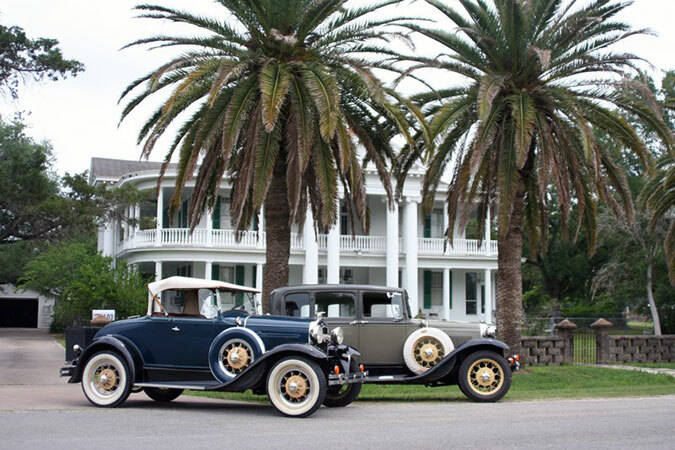 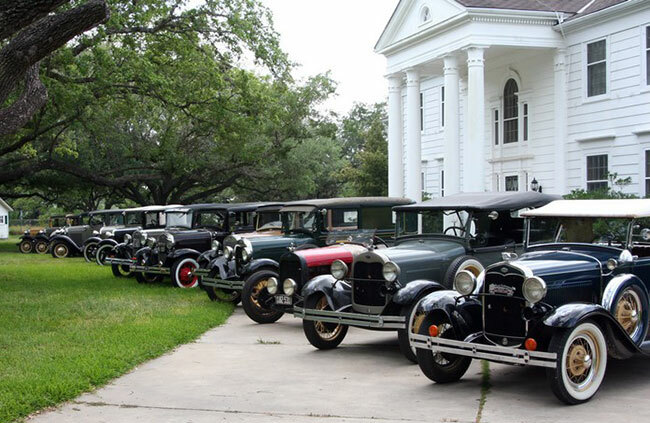 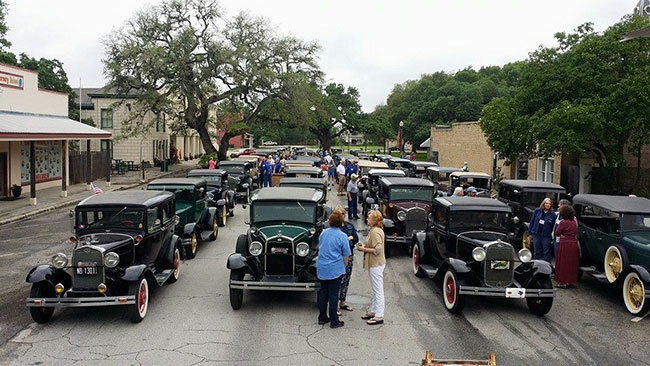 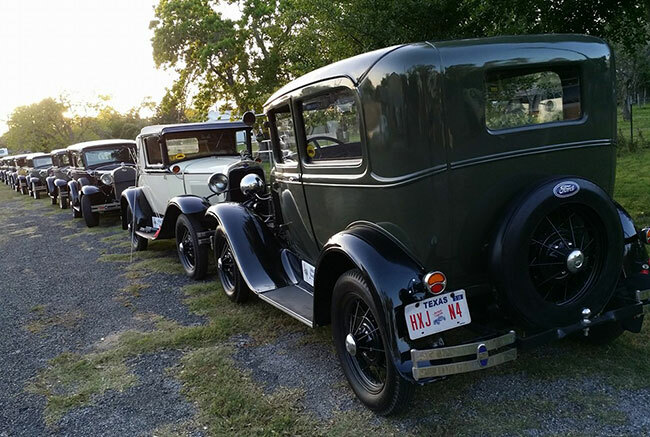 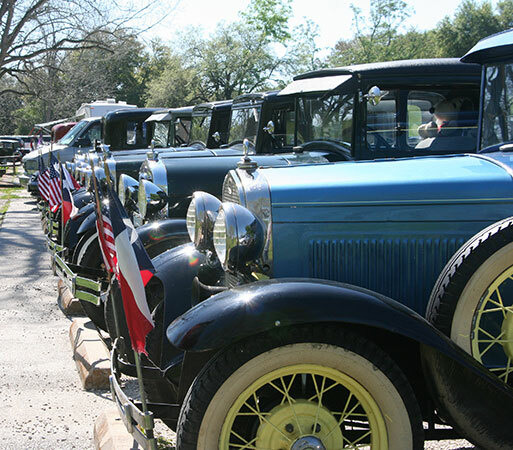 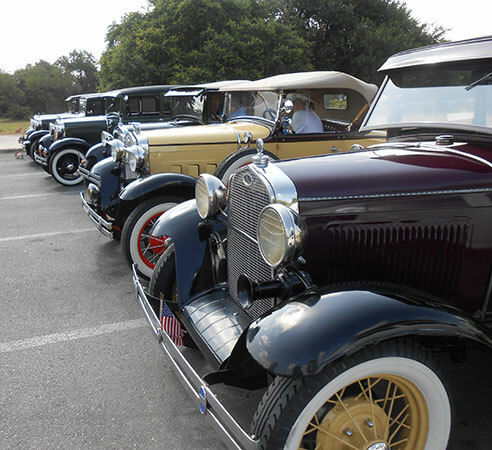 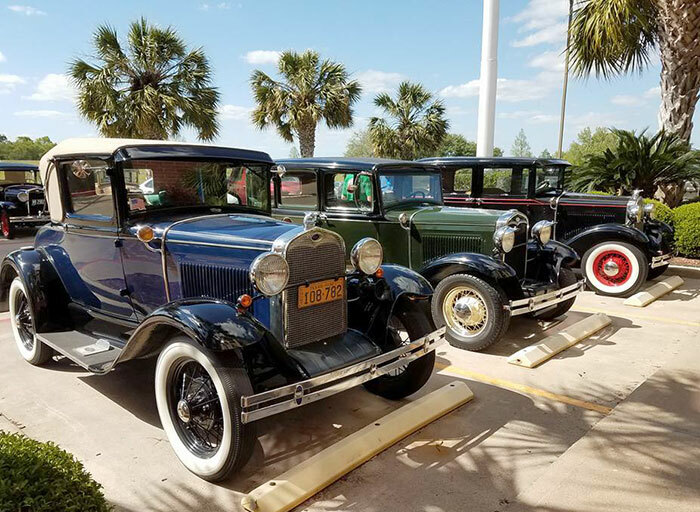 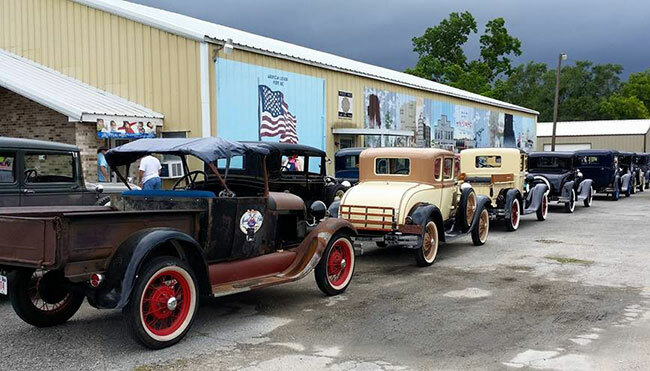 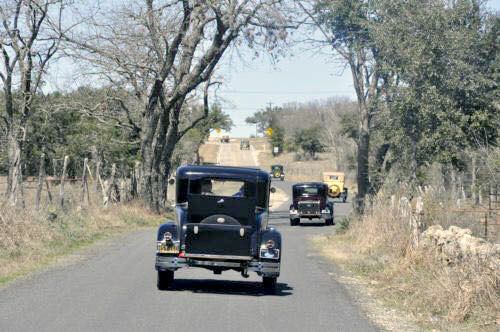 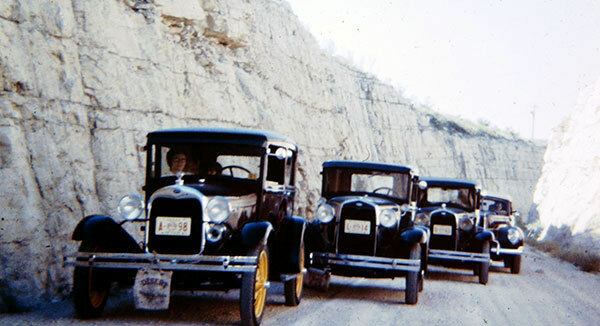 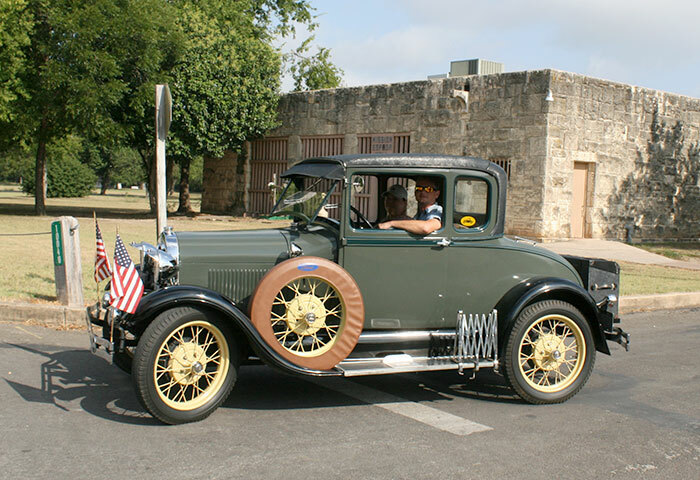 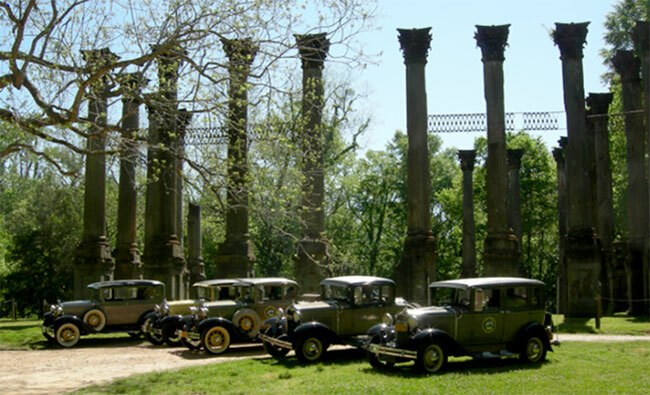 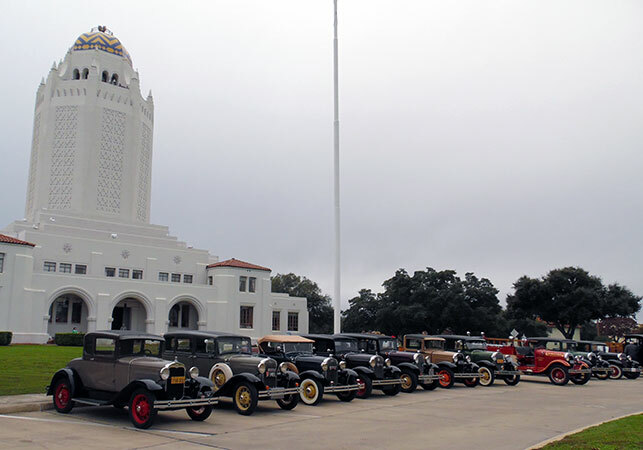 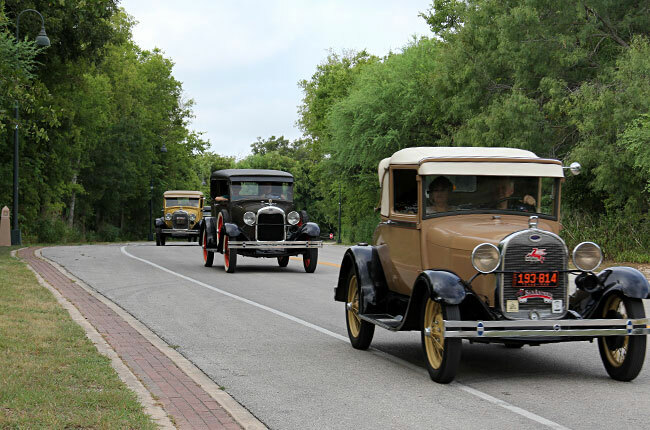 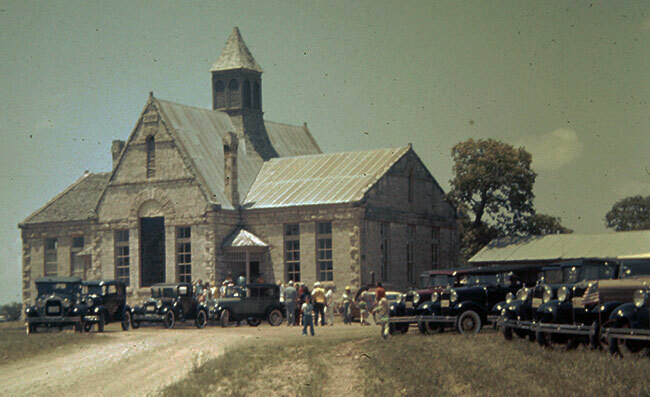 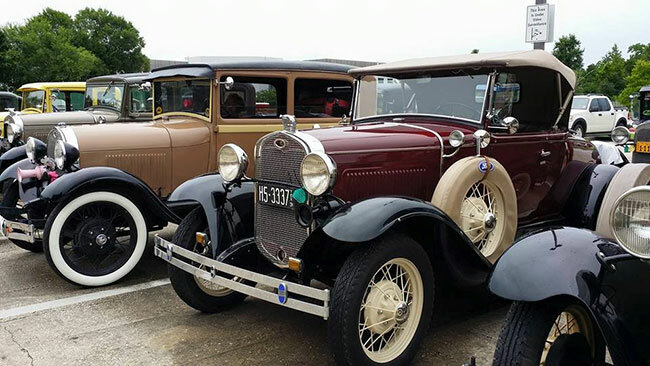 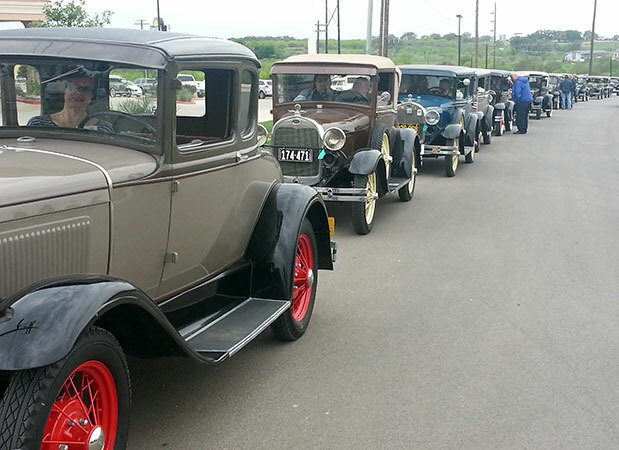 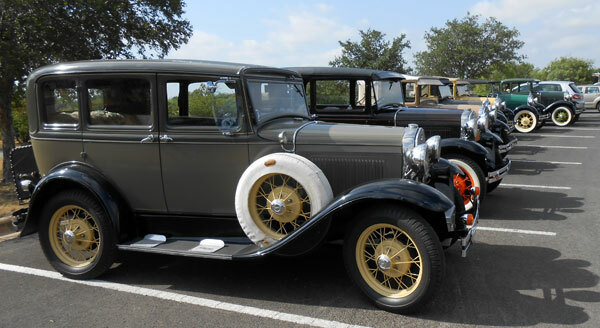 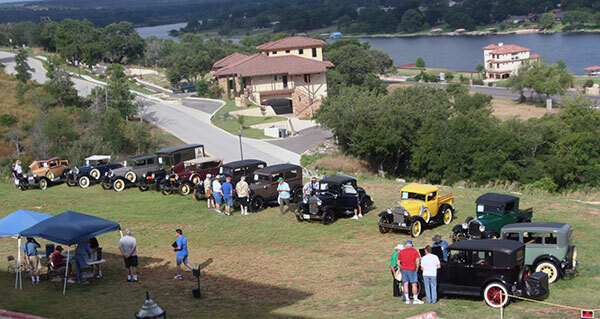 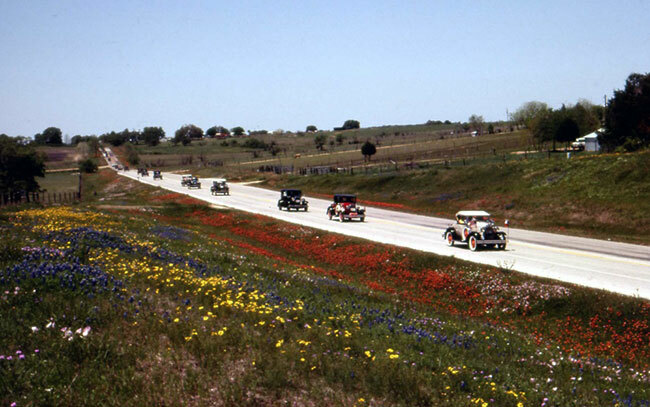 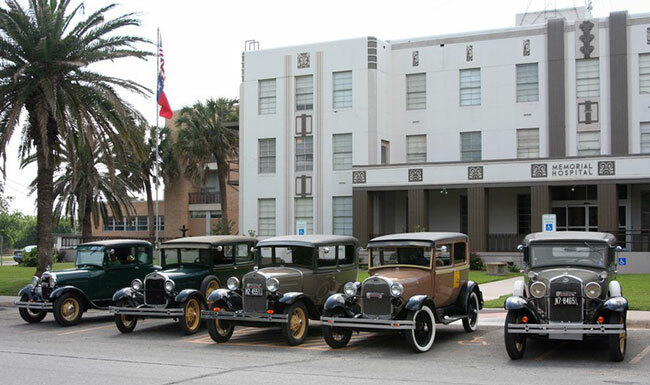 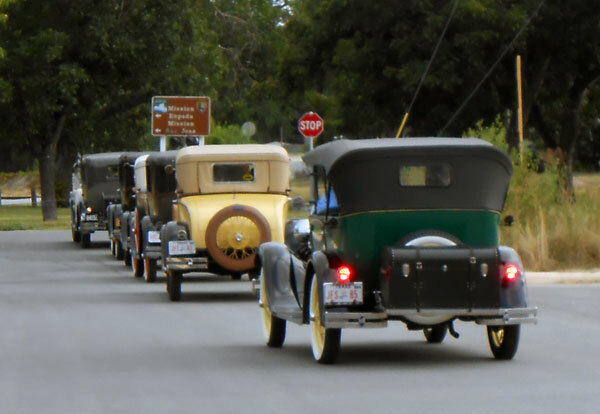 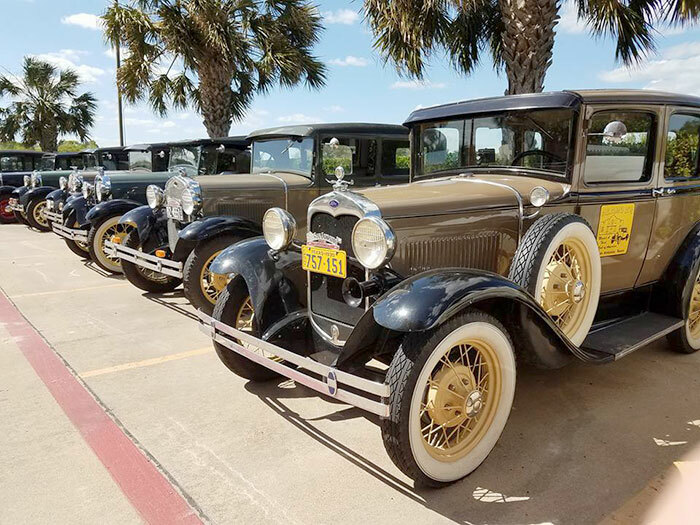 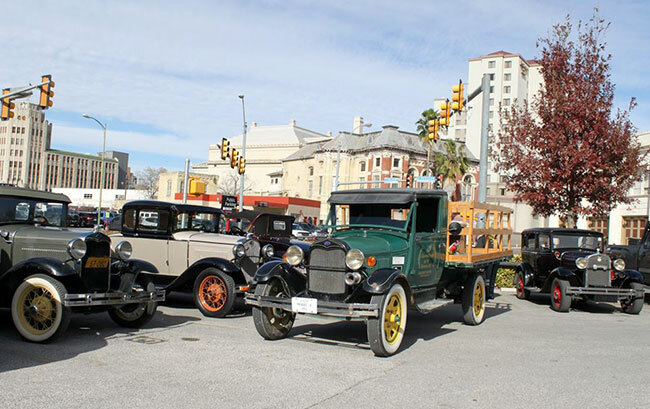 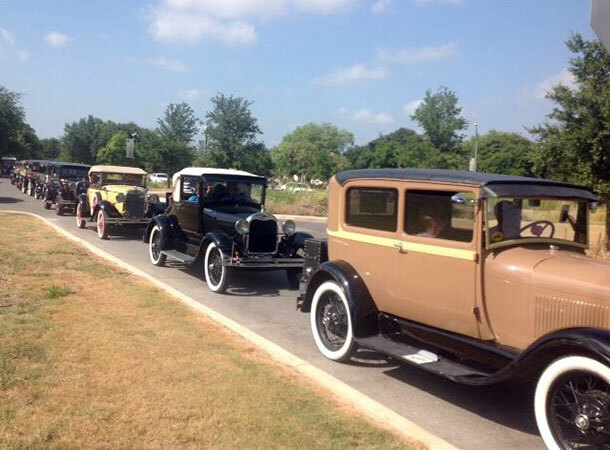 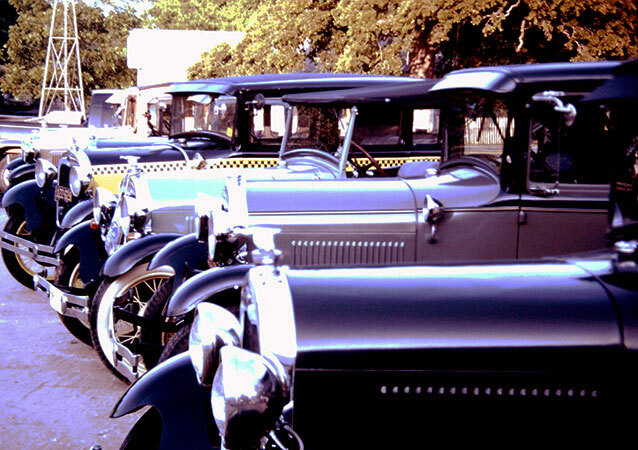 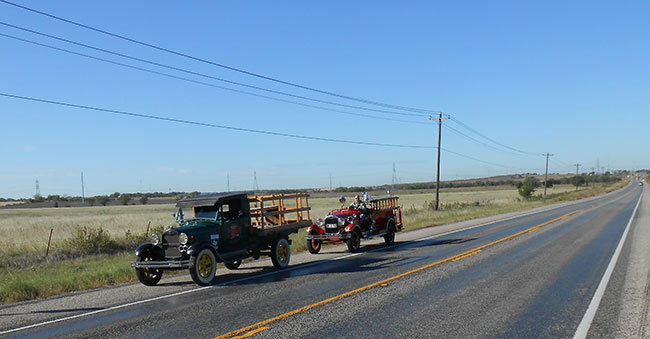 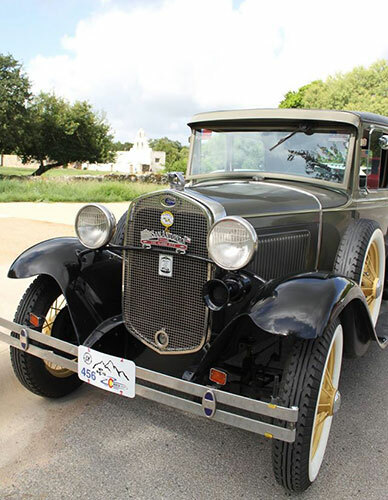 This is an annual event with local Ford Model Ts and Ford Model As touring San Antonio's historic missions. 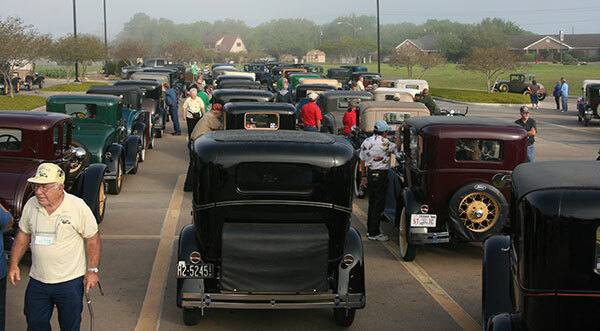 The "Poor Boy" tour is a 50 year old spring time gathering of Model As in South Texas. 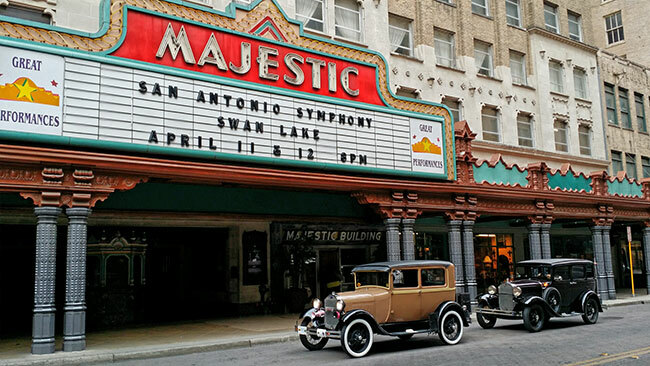 The San Antonio and Houston clubs take turns hosting it. 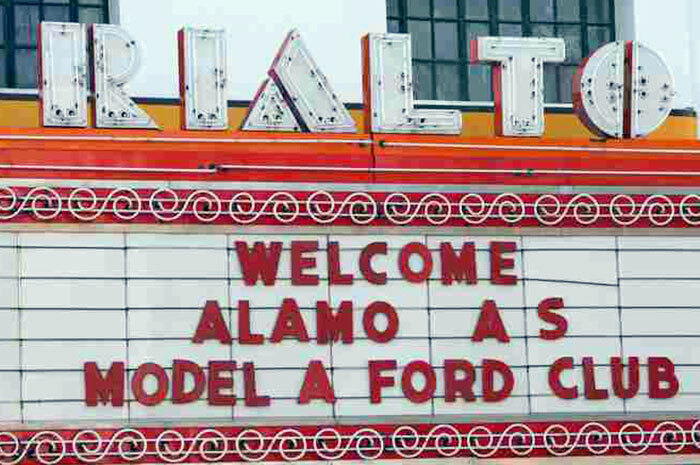 The main idea was to make it "cheap and cheerful." 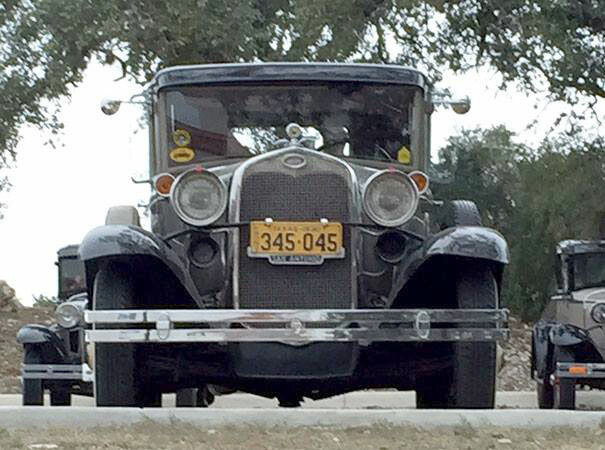 A 'high falutin' event it is not. 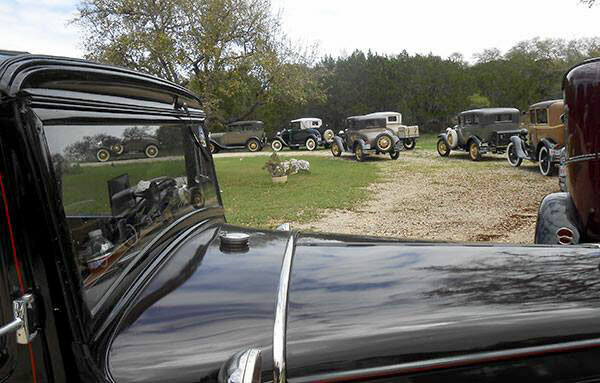 Just a bunch of folks having a good time. 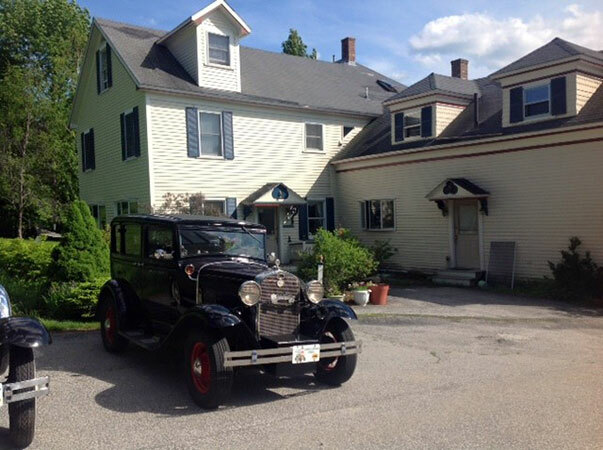 Staying overnight at a base hotel for several days is required. 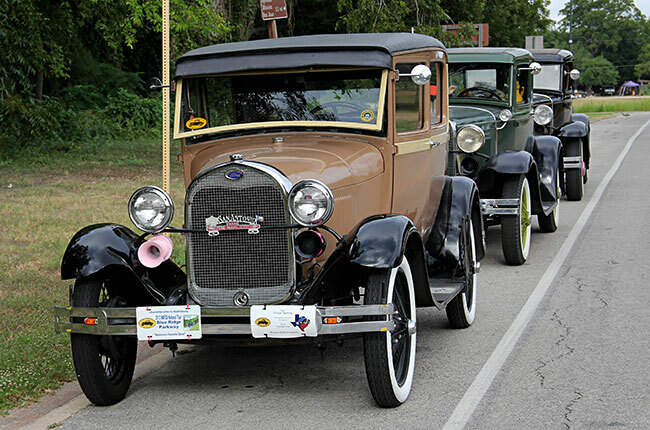 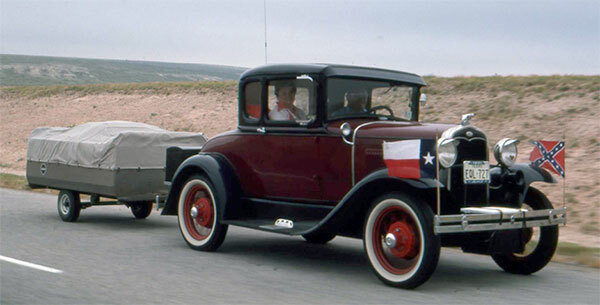 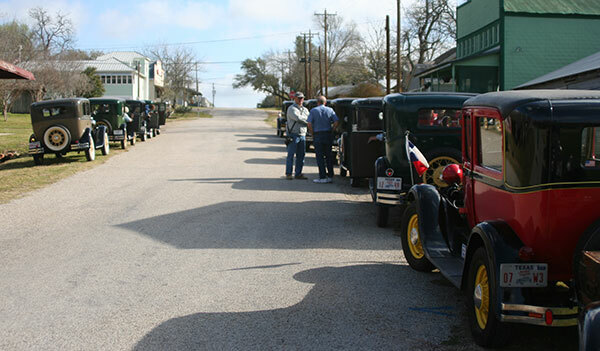 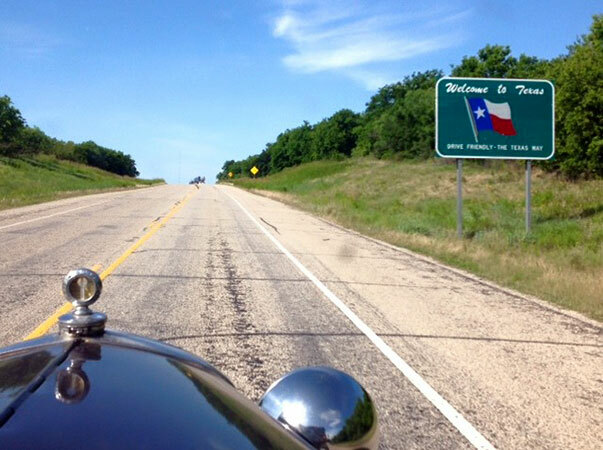 The "Texas Tour" is a state wide gathering of Ford Model As. 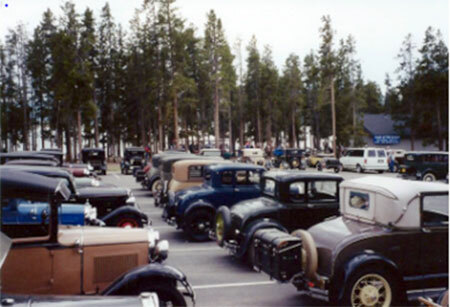 It is held in the fall in different places around the state. 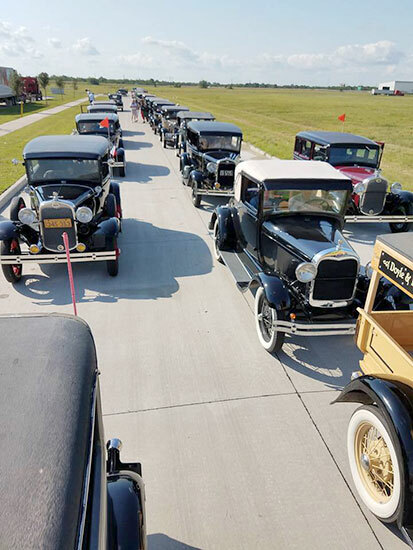 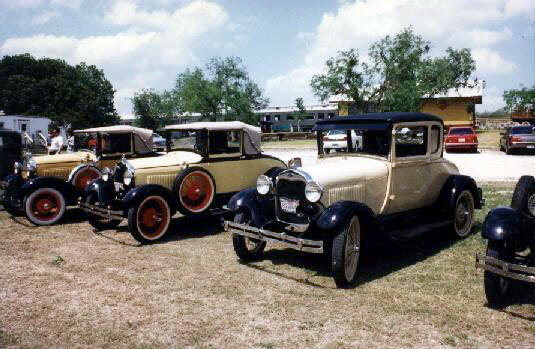 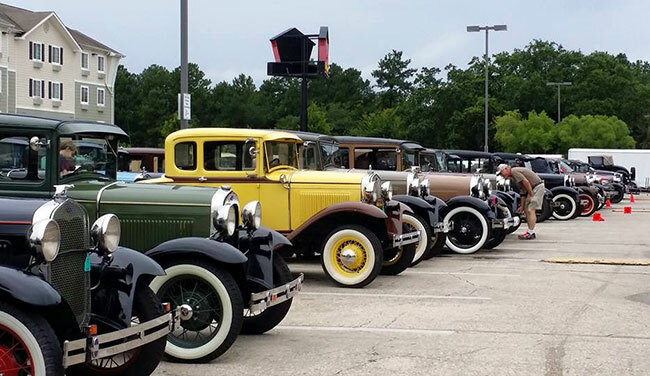 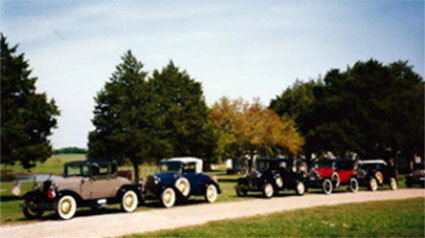 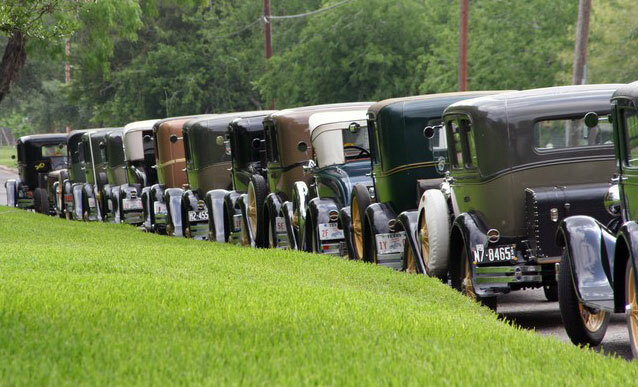 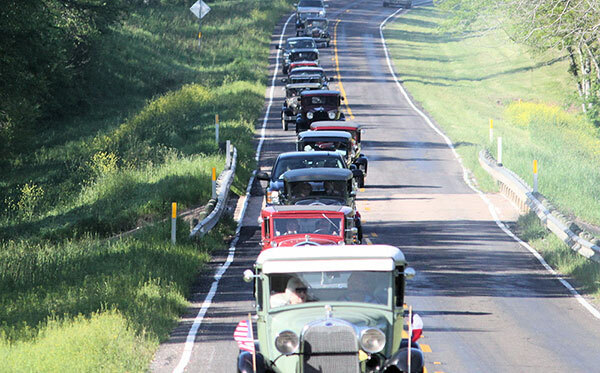 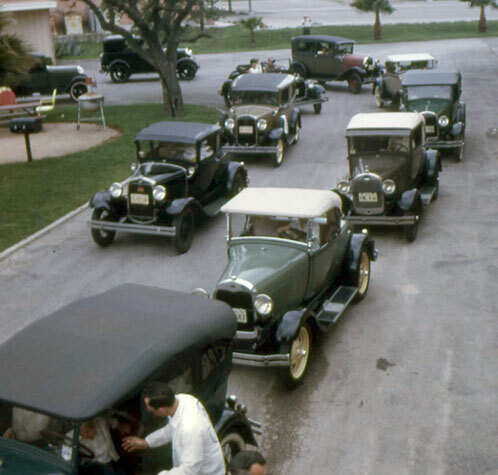 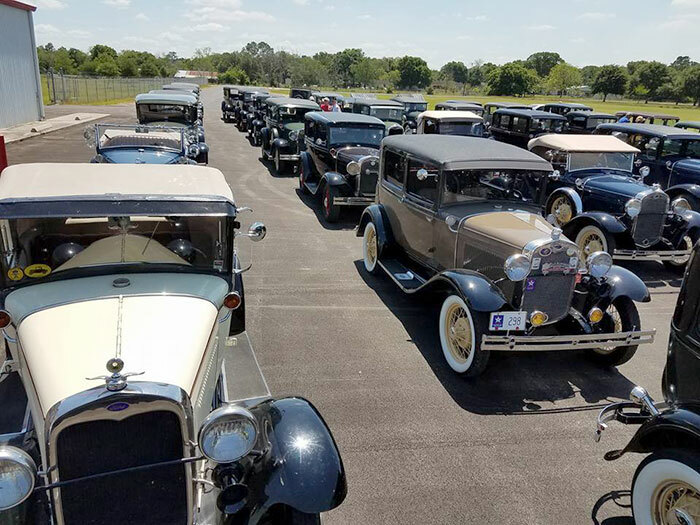 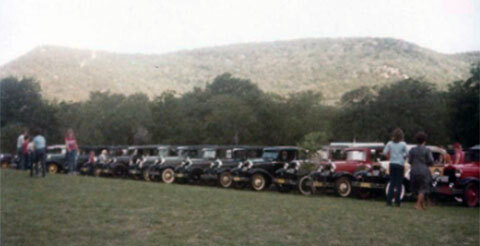 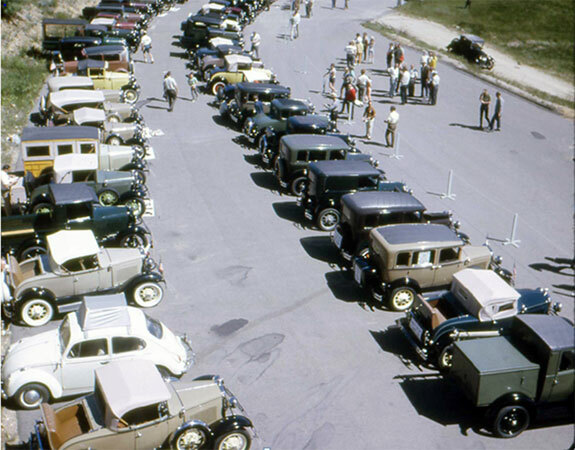 It is hosted by different Model A club every year. 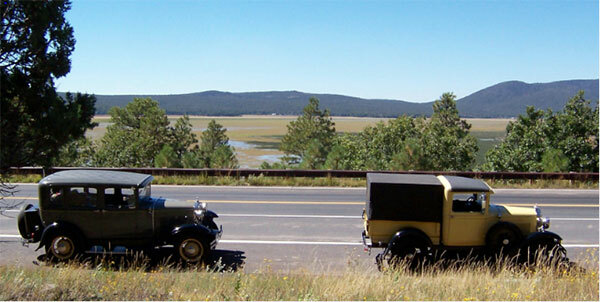 Staying overnight for several days at a base hotel is required. 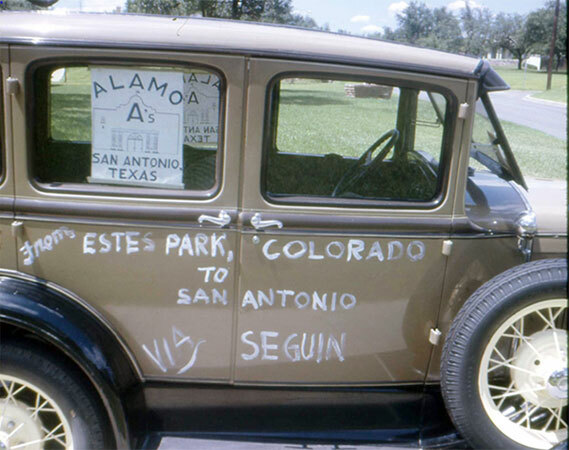 Alamo As members during the 2003 "Texas Tour"
>Alamo As member vehicles during the 1984 "Texas Tour"
Alamo As member vehicles during the 1978 "Texas Tour"